This is the bonus model kit that came packaged with the GX-28 Soul of Chogokin Xabungle. It is another mecha from the same series, named Brockary. 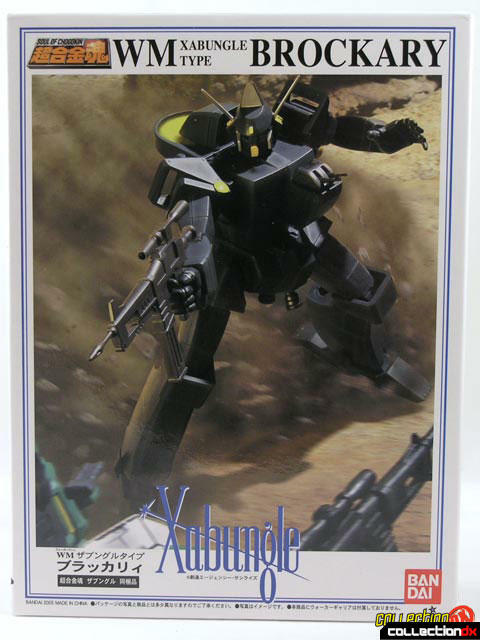 There have been many Xabungle toys made over the years, but mostly of the three main characters - Xabungle, Irongear and Galliar. 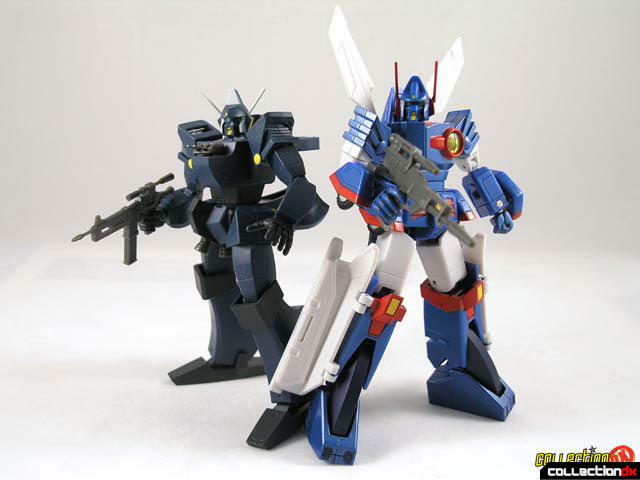 The other mecha from the series were produced as plastic injection model kits. The line of Model kits covered most every robot in the series except for one - brockary. 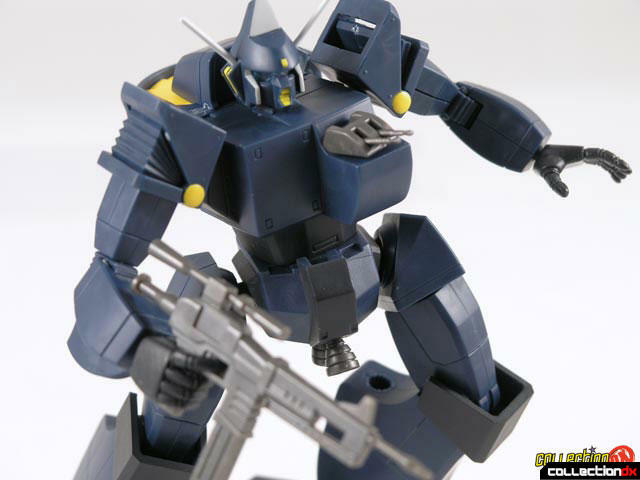 I don't know why it was never produced, but Bandai decided to rectify the situation by including it with the SOC. They even gave the box for the kit a similar feel to that of the vintage model kits. 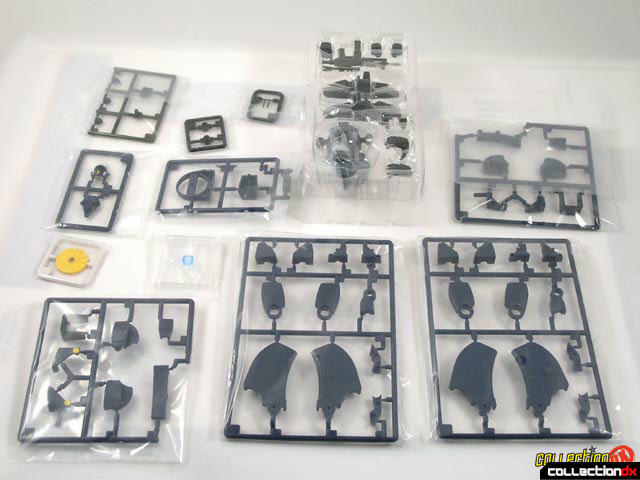 Brockary comes as a series of sprue sealed in plastic baggies. Parts are molded in color, so no painting is needed. Instructions are in Japanese but are easy to follow. We recommend you use a hobby knife to carefully remove parts from the sprue. The kit goes together relatively easy, and once complete, you have a completed toy, not a fragile model. The plastic used seems to be of a higer grade than most model kits. 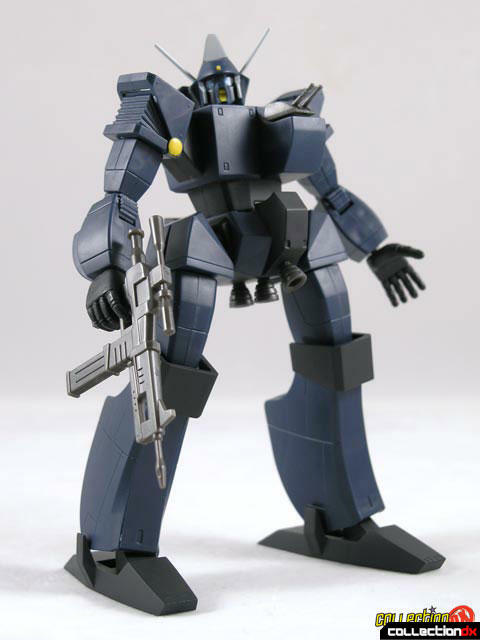 It is fully articulated, and comes with a variety of hands, and can use some of the accessories from Xabungle. 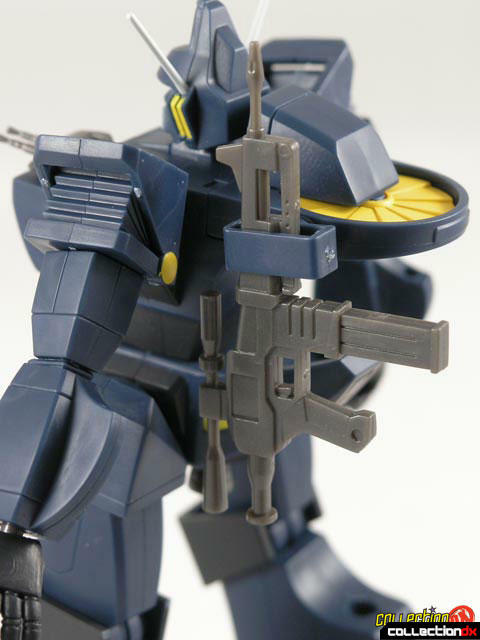 Brockary comes with a gun that can be stored on the figures back. There is a second set of clips that allow you to use Xabungle's sand skis as well. Brockary is a great addition to the SOC Xabungle; don't leave this one MIB. You are only getting half of the fun out of the toy if you do.